Your Message. Your Brand. Your Success. Our custom training clients come to us with a wide range of needs. Some need custom branding inserted into an off-the-shelf training program. Others need new lessons built within some of our existing training workshops. Others require development of online training modules from scratch. With a team of training development and media production specialists, we work collaboratively with clients to create custom training products that meet their specific business needs. Learning Development is the process of taking complex information and transforming it into training that is both understandable and actionable. Our team of instructional design professionals take an objectives-based approach to creating online training courses. From hard skills to soft skills and everything in between, our custom training development process uses a blend of traditional training principles and media-rich creativity to reach learners of all levels. Our Learning Design team has comprehensive experience in creating learning programs that fit a numerous collection of needs. Their goal is to provide the most comprehensive learning program available. To achieve this, they collect information to create your training through a variety of methods. They will use your existing training documents, manuals, brochures, videos, or anything else you determine relevant in designing training that will fit your business needs. 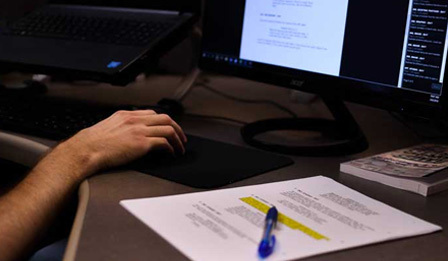 From concept to delivery, our Video Production team offers comprehensive media services, including scripting, production, casting, and post-production. Our crew is adept at filming in a variety of on-site locations and we also have an in-house studio. 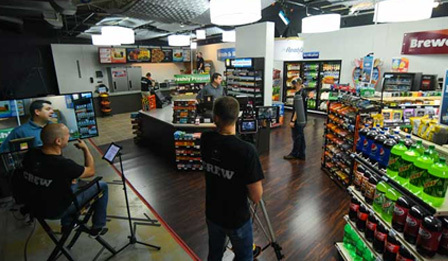 Whether you need a small piece of custom training filmed or a complete script-to-screen solution, we mold our video production services to your custom needs. 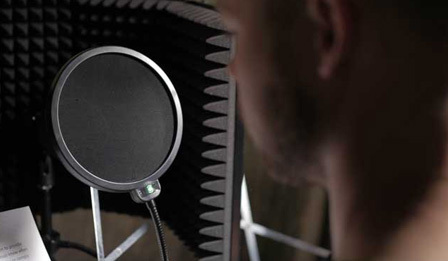 Our in-house team specializes in all types of voice-over services, including recording, production, background music, mixing, post-production, and translation (if applicable). People learn best when they can see what hear a message. That’s why voice-over services are a critical part of any custom training solution. Fill out the form below and one of our business development representatives will contact you!